As Middle School students move into adolescence, it becomes increasingly important for them to reflect upon their learning, articulate the meaning of past experiences, and recognize the path to true national and world citizenship they began in the Lower School. Students experience world literature and history through folktales, short stories and novels; and study globally from the ancient world to the modern world and the United States. Students learn what it means to be a citizen historically and in our contemporary world. In addition, students have many opportunities to participate in co-curricular activities and class trips, with optional global experiences available over President’s Weekend and during summer vacation. Each year over President’s Week, seventh and eighth graders are encouraged to apply for and participate in an international language immersion trip to either a Spanish or French-speaking country, depending on their language of study. Current groups have travelled to Costa Rica and Quebec. Seventh and eighth graders who remain on campus during this week participate in at least one local immersion opportunity for their language of study to places like Segundo Belvis Ruiz Cultural Center or the Alliance Francaise where they are immersed in Latino or French culture and have the opportunity to prepare and enjoy traditional ethnic cuisine. Students are encouraged to try new and different means of reaching out to the world through technology. 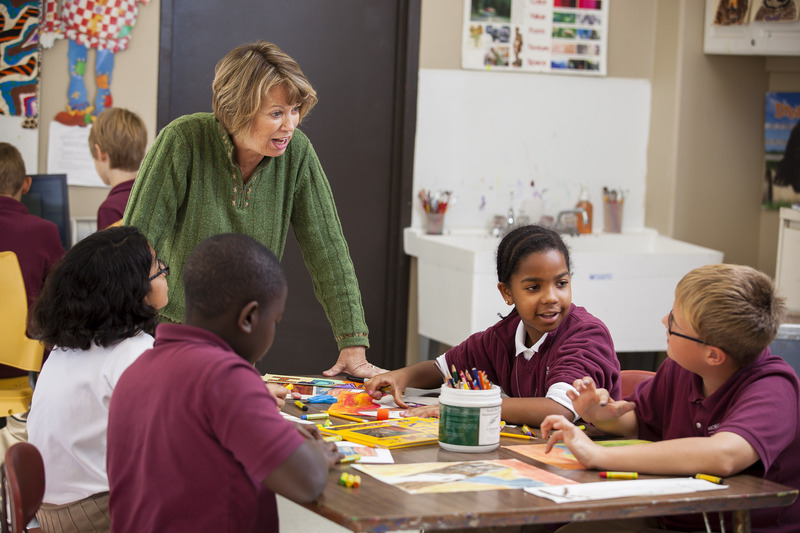 With sites such as EPals and World Art Chicago, teachers can search for the perfect opportunity to interact with other cultures on everything from storytelling to art, encouraging students to share and collaborate across the country and the world. Service also is encouraged through projects which serve the school, the local community, and the world. These projects also support student leadership. Projects vary and are often proposed and led by Middle School students. Past projects include making lunches for a local soup kitchen, raising funds for school supplies at St. Joseph Indian School, raising funds to remove land mines, and collecting shoes to be sent to South America. More recently, sixth grade students organized a school-wide book drive to help at-risk kids in the Chicagoland area through Bernie’s Book Bank. After learning about the crisis in Syria, eighth grade students were inspired to do something and collected baby carriers for Carry the Future, an organization that assists Syrians fleeing the civil war in their country. To raise awareness for UNICEF and its purpose, House leaders held a Jar Wars house competition where over $1000 was collected for this cause. With an emphasis on student leadership, students choose to serve and learn, first-hand, the impact one person can have on their world. Several service programs also support our sustainability efforts. Participating in programs such as waste-free lunches, composting, and recycling, student volunteers have the opportunity to join with the Lower and Upper Schools to create a greener community. Grade 6 (Local Citizens) — Nature's Classroom Institute, Wisconsin — Students immerse themselves in the natural environment for ecosystem exploration and study, working together with their peers and learning about their role as a citizen of the earth from an environmental point of view. 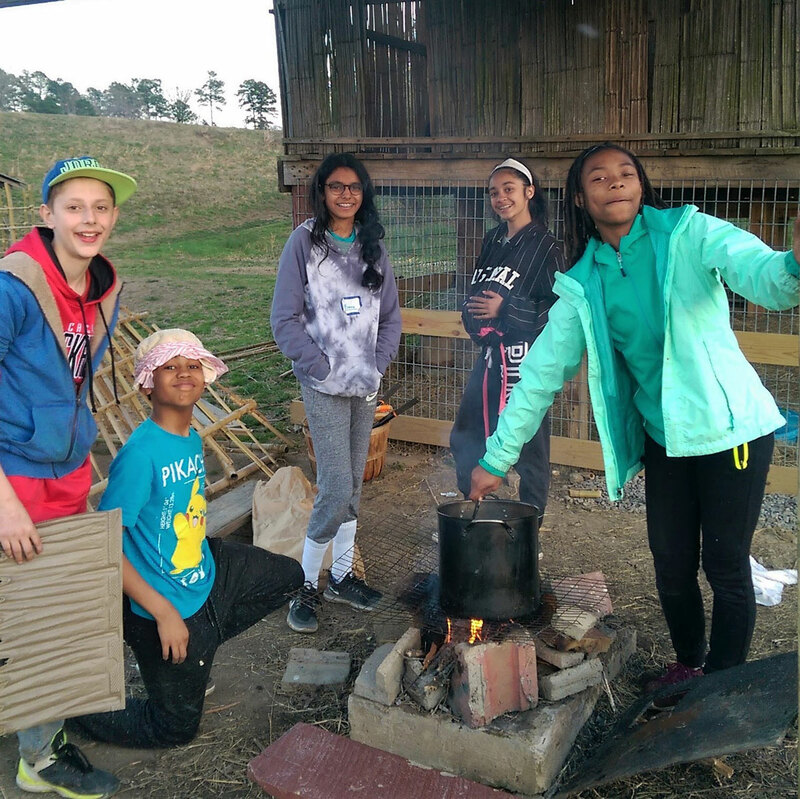 Grade 7 (World Citizens) — Heifer Ranch, Arkansas — During this week-long alternate learning experience, students learn about global issues like poverty, hunger, and environmental degradation. Students spend the night in a Global Village, where they experience lifestyles from around the world. Participants also engage in service work, community building, and hands-on educational learning activities. They learn about hunger, sustainable development, caring for the earth, and how livestock can help change the lives of people everywhere. Grade 8 (U.S. Citizens) — Washington, D.C — As a culminating experience for their middle school program, students visit our nation’s capital. Here, they seek to understand the role of an American citizen in a global world. In visiting Washington, D.C., students learn about how the definition of citizen has evolved over time; history comes alive as they visit major landmarks and museums of our nation’s past. By this time in their curriculum, students begin to see themselves as an important participant in the timeline of history. Morgan Park Academy recognizes the need for global education for today's graduates. By virtue of their educational experience at MPA, all students here will exit with a developing awareness of contemporary global issues, advanced knowledge of the world around them, and a mature understanding that change isn't something that happens without individual action. The recipient of the Global Activist Award is an eighth grader chosen by the middle school history teachers and is based upon student passion for global education, interest in world issues, and commitment, through action, to finding ways to make an impact on the world around them.